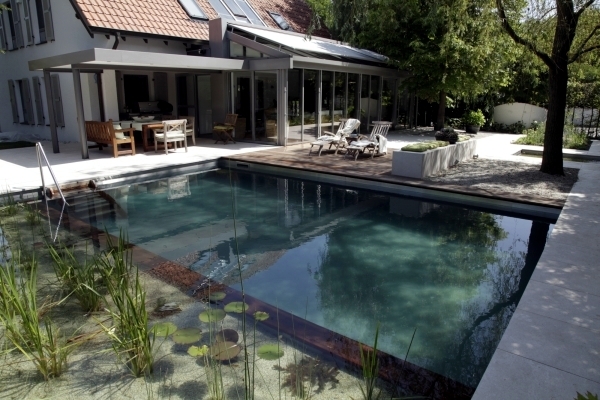 Home > Interior Design > DIY by pond with a natural self-cleaning process. 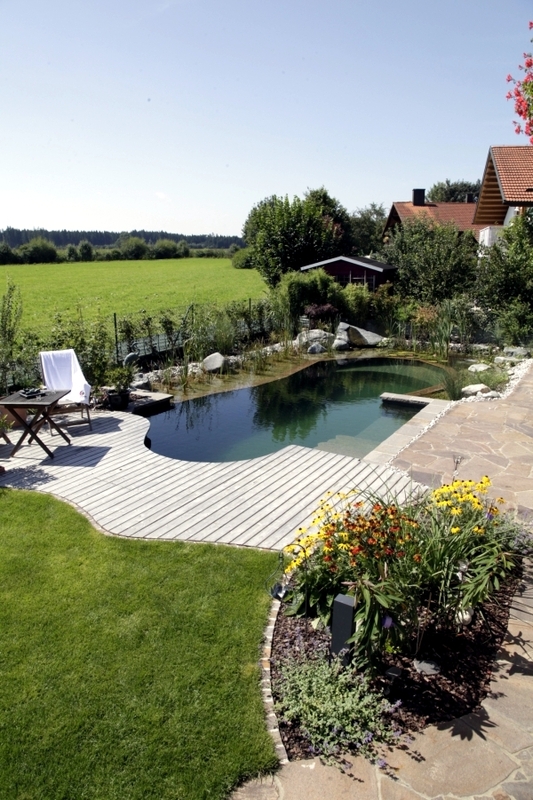 DIY by pond with a natural self-cleaning process. 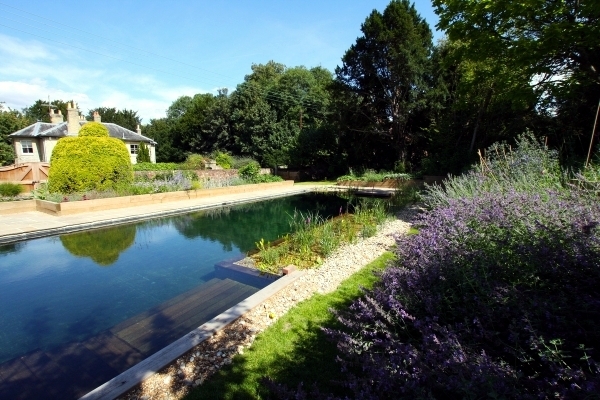 A natural swimming pool, also known as the pond, is a body of water that does not use chemicals or electrical equipment to disinfect water. 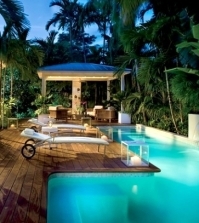 All the processes of cleaning and maintenance are performed through biological filters and plants. 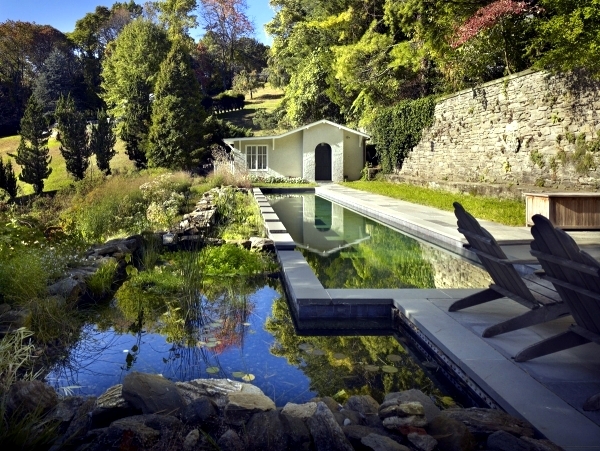 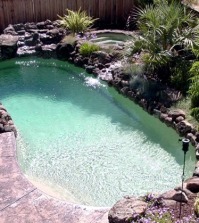 The pool is never emptied and filled, as with traditional pools. 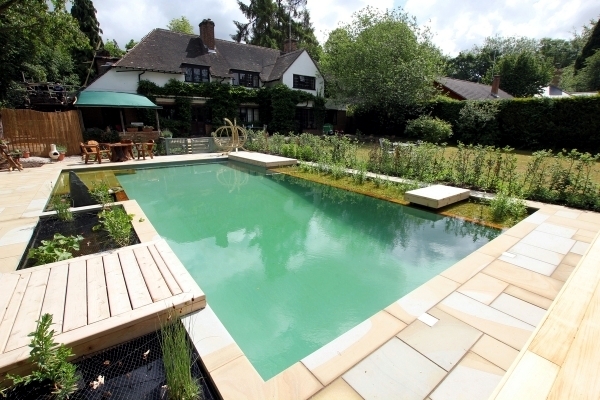 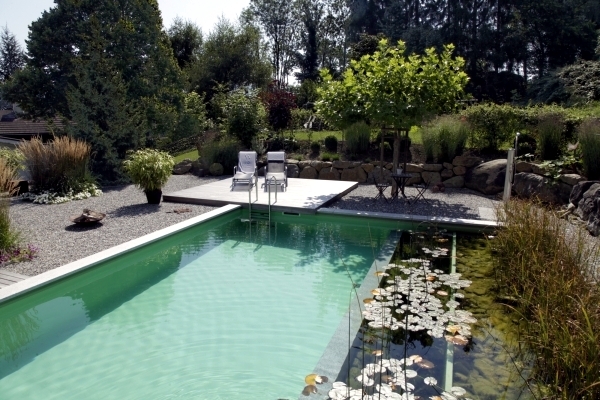 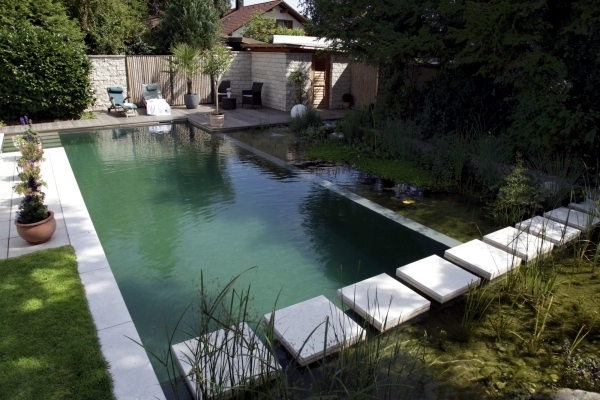 These pools have been very popular in Europe for some time, and you can make one yourself. 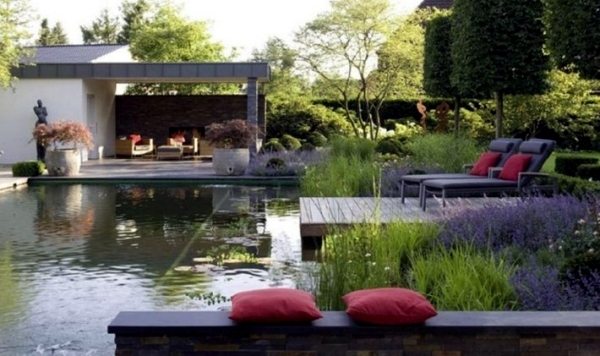 Think about the landscape you are working with and have a look at this guide. 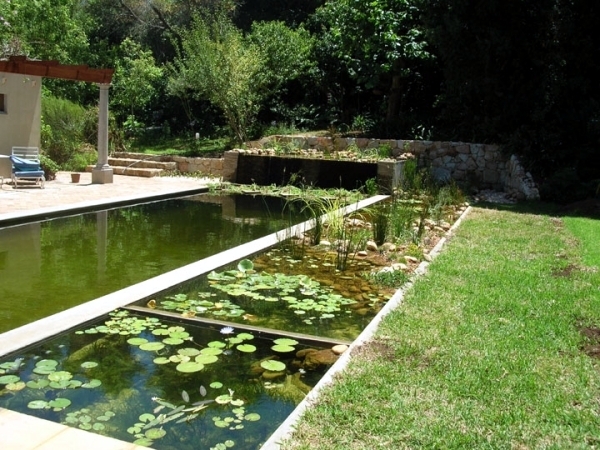 DIY pond - low maintenance natural pool. 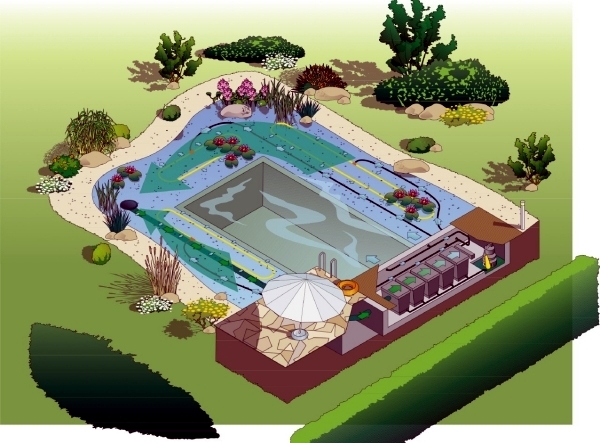 Your pool will be split into two area: the pool area and the area of ​​regeneration. 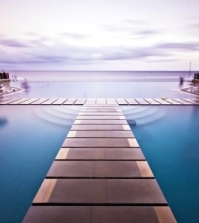 The bathing area is like a regular swimming pool, and the regeneration zone resembles a water garden. 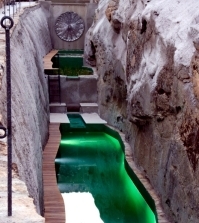 The water from the tank flows into the basin at the water inlet and then through a biological pump and into the regeneration zone. 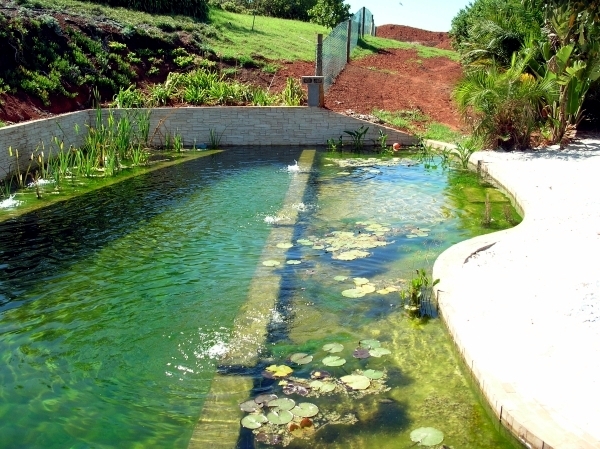 The water is treated through biological and metabolic processes in the regeneration area, which is full of vegetation. 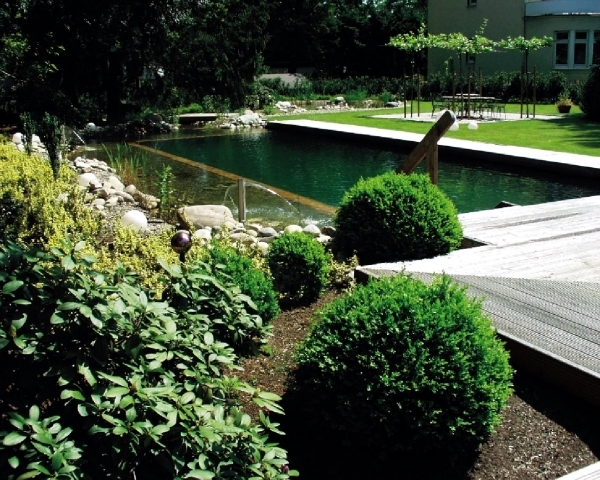 Essentially the plants in the regeneration area feed on algae and other impurities, and this leaves you with clean bathing water. 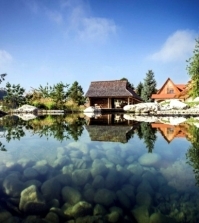 DIY Pond - The concept of natural cleaning. 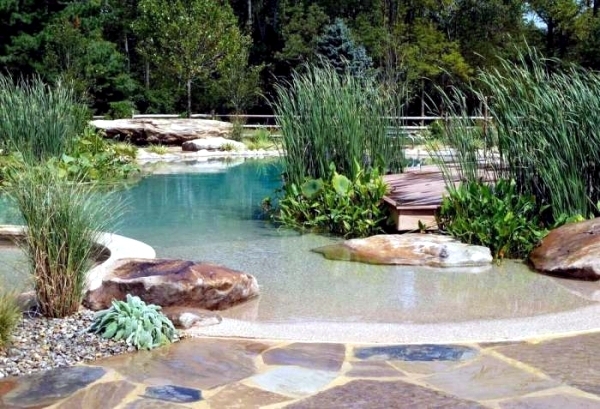 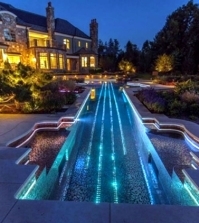 Design your new pool as a natural pond. 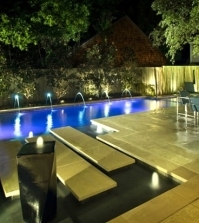 You can make the pool area a square or a rectangular shape like many traditional pools however, most homeowners choose a natural and more irregular form. 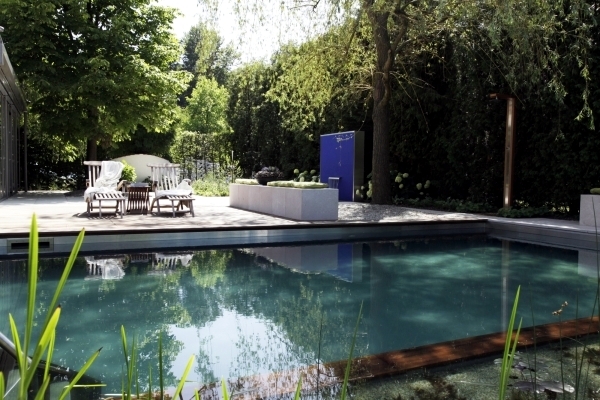 The regeneration zone may be adjacent to the float or on a different level. 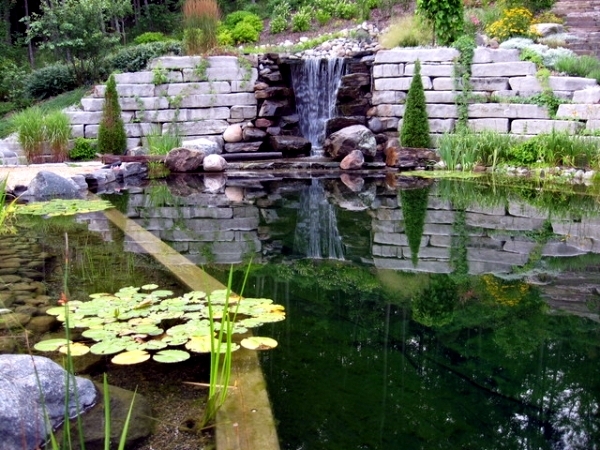 The two sections of water can be bordered with rocks, gravel, or other natural elements. 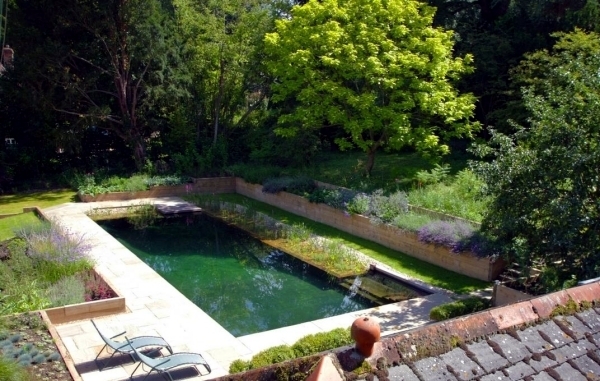 Plant a border of flowers and green plants. 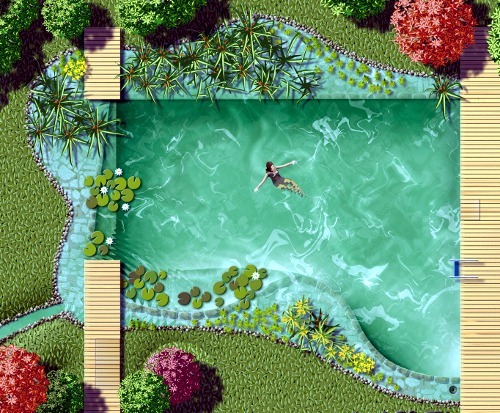 Add water lilies and tropical plants add to the regeneration zone. 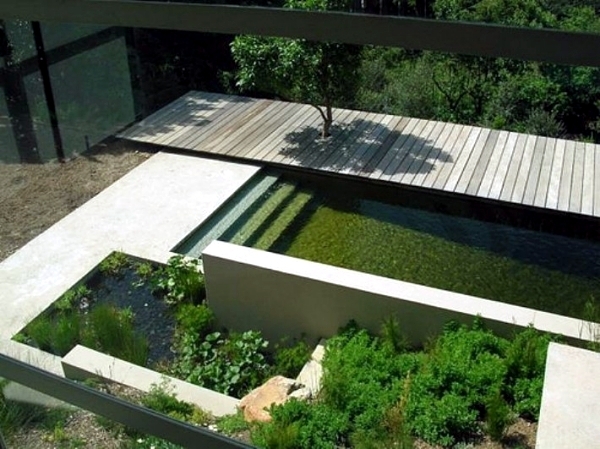 A popular design is the mini-waterfall and a small wooden bridge over the regeneration zone. 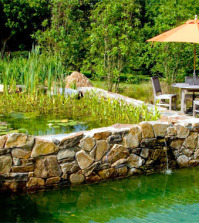 Building a pond at home.